Ocean and white sandy beaches. 2nd Floor with Elevator, Beautifully decorated, 42" tv. Balcony overlooking duck pond with ocean view. Pets considered with monthy rental. Pool, Clubhouse and fitness facilities. Adjacent to Anastasia State Park where you can picnic or walk the beach for miles! 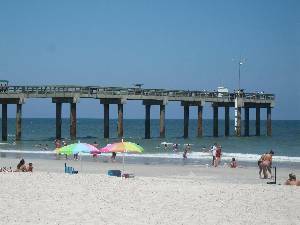 St Augustine Beach and Pier 350 steps! Pool and clubhouse with exercise area. 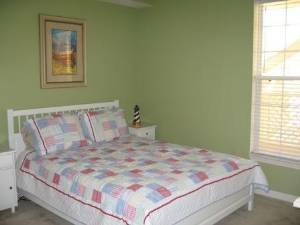 Master Bedroom, King Bed with TV, dressers, seating area and spacious walk in closet. Queen bed with TV with VCR, dresser, nightstands and nice big closet. Two single beds, TV Dresser, built in closets. 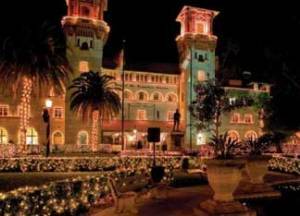 Christmas season in St Augustine! Brand new living room furniture. We stayed at this condo 10/4-6 for our son's wedding. There were four adults and two children. It was very spacious, clean, and smelled so good when we opened the door. The furniture was comfortable and fit my taste. 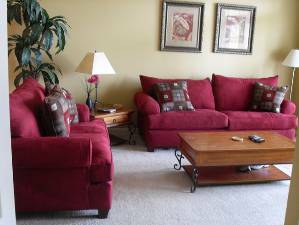 The condo is equipped with everything you need to enjoy your stay. Also, the wicker furniture on the patio made it great to sit out at night and enjoy the fresh air. Just a short walk to the beach. We used the clubhouse for the wedding rehearsal dinner and the wicker furniture made it easy to decorate. Since our new in-laws own a condo in bldg. D, we definitely will be staying here again. Learned from Premiere that they undertook a complete remodel - looked great! Wife was very pleased and that says a lot. Brand new couches and flat screen TV were my favorite part because our 8 year old son hardly left his XBOX 360 so it gave us time to walk along the beach. 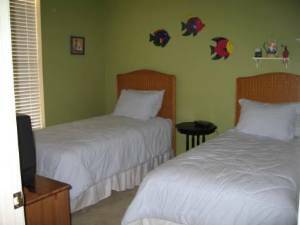 The beach is steps away and close to Panama Hatties (Fun), volleyball courts, playgrounds, and the pier. Also, the apartment balcony overlooks the pool so that we can keep an eye on him while we relax on the porch. 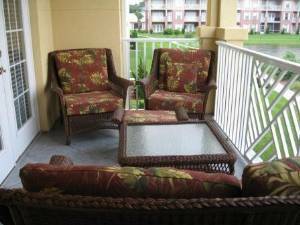 Oh ya and nice furniture on the porch as well. Close to the beach.. Closer than when I stayed "beach-side" at Colony Reef. Dirty! From the minute we walked in the foyer tile was filthy. The odor was unbearable. The carpets looked like someone walked around with chocolate milk and spilled it all over the condo. The room with the twin beds had the worst rug. I immediately wanted to put air fresheners on my grocery list. The sofa was badly stained. There were crayons and crumbs in between the cushions. The fridge was never wiped down. The bedding was old, not fresh and outdated. The dining room table was sticky and was never properly wiped down. We stayed 5 minutes and than called Premier Rentals and left. Premier moved us to building 225 unit 202. We were very pleased with the new condo. I'm sorry to say, we were very disappointed! 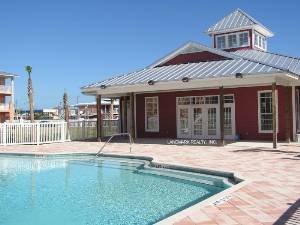 Nice condo; walking distance to beach, pier, restaurants and bars; comfortably sleeps 7 (4 adults, 3 kids); great balcony with furniture; nice pool; convenience of washer/dryer in condo and boogie boards and beach supplies. Furniture/carpet a little worn. Bring your own supplies such as trash bags, laundry, dishwasher and dish soap. My stay at this condo was absolutely perfect. 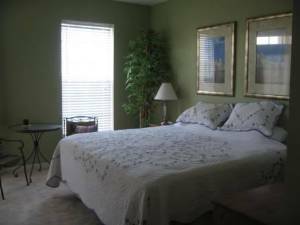 The condo itself is very comfortably furnished, and very clean. The kitchen is furnished with necessary items, if you want to cook. Panama Hatties is right next door if you don't. There are many restaurants within walking distance. The owner even provides beach chairs! Shopping in the old town of St. Augustine is a great experience, but relaxing on the beach is too. This condo really has everything and I would highly recommend it to anyone considering a week at the beach! And it is very reasonably priced. We absolutely loved the condo! It was the nicest we have stayed in. I have 2 kids (3 and 5) and they did not want to go home! I loved the décor! We had a great time and plan on going back next year! My family enjoyed our stay. The property was an excellent value. Plan to visit in February. We love it here and cannot wait to come back! Beautiful condo, we had a wonderful week at the beach! Cancellations and Refunds: Pets considered with monthy stay.THE CREDIT CARD NUMBER GIVEN AS A DEPOSIT WILL NOT BE CHARGED UNLESS THERE IS DAMAGE DONE TO THE PROPERTY OR IF THE CONDO IS LEFT WITH MORE THAN A ROUTINE CLEANING REQUIRED. THE CARD MUST HAVE AT LEAST $250.00 AVAILABLE CREDIT. WE DO NOT ACCEPT AMERICAN EXPRESS. AT ANY TIME AFTER MAKING A RESERVATION, IF YOU HAVE TO CANCEL THERE IS A $20.00 NON-REFUNDABLE RESERVATION FEE THAT WILL BE CHARGED. WE REQUIRE A 30 DAY NOTICE OF CANCELATION OR THE $250.00 WILL BE CHARGED. WE REQUIRE A 60 DAY NOTICE OF CANCELATION FOR A MONTH OR LONGER STAY OR $250.00 WILL BE CHARGED.